I suppose most microscopists have accumulated books about microscopy, natural sciences and imaging in general. My microscopy library takes up about 25 feet of shelving full of books (which is modest by some standards) and, yes, it is very difficult to make a selection of just a dozen books. Because of my role as a microscopy facility manager, and the need to teach others, my final choice of a dozen books will reflect my involvement in, and enjoyment of, teaching light microscopy. I find that a chapter or a part of a single book has its merits, and I value the way a particular subject is approached by one author over another. So, like most of us, I dip into my books. There is a downloadable PDF explaining my reasons for these choices. 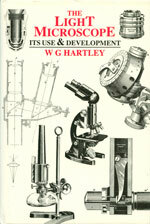 This was written as part of the ‘dozen favourite books relating to microscopy’ series that was published in Summer 2010 in the Quekett Journal of Microscopy 41/3: 219-225. Sluder, G & Wolf, DE (2007) Digital Microscopy 3rd Edn. Murphy, DB (2001) Fundamentals of Light Microscopy and Electronic Imaging 1st Edn. Barron, ALE (1965) Using the Microscope 3rd Edn. Wayne, R (2009) Light and Video Microscopy 1st Edn. They say that 13 is unlucky, so I won’t upset folks, but I have to include another book. 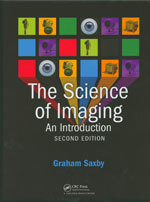 The 2nd edition of The Science of Imaging by Graham Saxby published by CRC Press is superb. Saxby writes in a readable and easy-going style, and this one book will give you a good overview of how images are formed in photography and allied disciplines to microscopy. If you are curious about the book choices made by other members of the Quekett Microscopical Club, go to this page. 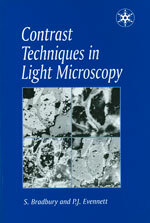 For the other microscopy books that I recommend, go here.